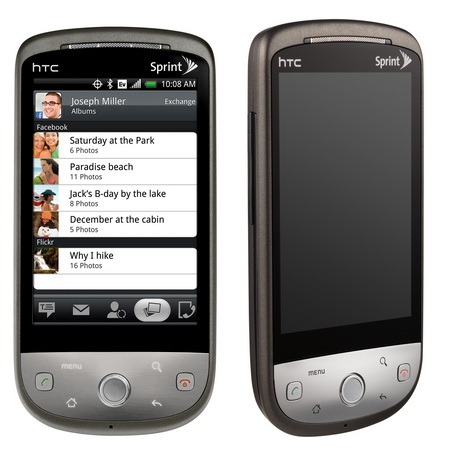 BREAKING: Sprint HTC Hero Android 2.1 ROM Leaks - Final Release Imminent? We just got word that a Sprint HTC Hero test ROM marked RUU_Hero_C_Sprint_2.20.651.1_signed_test leaked to the public at the xda-developers forum by damageless. Yet again, Android Police is the first Android blog to report it, as far as we know. More details to come as we try to figure out what the deal is with this ROM. Here is a link to the latest RUU from Sprint. You cannot simply extract it. This still has root since it is a test release. I recommend just doing an adb pull of your system directory after you flash it. Don't do this when the final one comes out or else you might be stuck without root. You will need to add busybox, patch sh and su, and make sure that you do another recovery image and such. I also recommend adding Superuser.apk and stuff. If you use the Desire build.prop, you can get most of the protected apps working. Leak, I know who you are. For those wondering what RUU is, RUU stands for Radio Unit Update. If you have more information or have tried the ROM, please report your findings in the comments.